Tomasz KISIELEWICZ, PhD from Warsaw University of Technology (Poland), has visited in May 2018 our Laboratory to work on the safety of Critical Infrastructures and specifically Electric Grid . 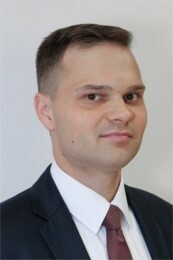 Prof. KISIELEWICZ has an extensive knowledge of power systems protection against natural and artificial transient surges and a widespread familiarity of systems aspects for electrical energy supply, in particular smart power systems architecture and smart low-voltage installations according to international standards and recommendations. At the moment, he also works as Principal Researcher at an International Project regarding safety and service continuity provision of critical infrastructures. He collaborates as an Expert of SyC Smart Energy/WG3 at the International Electrotechnical Commission in Switzerland as well.